Oh yeah, I'm on an Autumn post themed roll right now and I like where it's heading. The leaves have fallen, the heating is on and the hot chocolate is being made (with marshmallows obviously). It's time to dig out the knits and roll necks and live in them until approximately February. 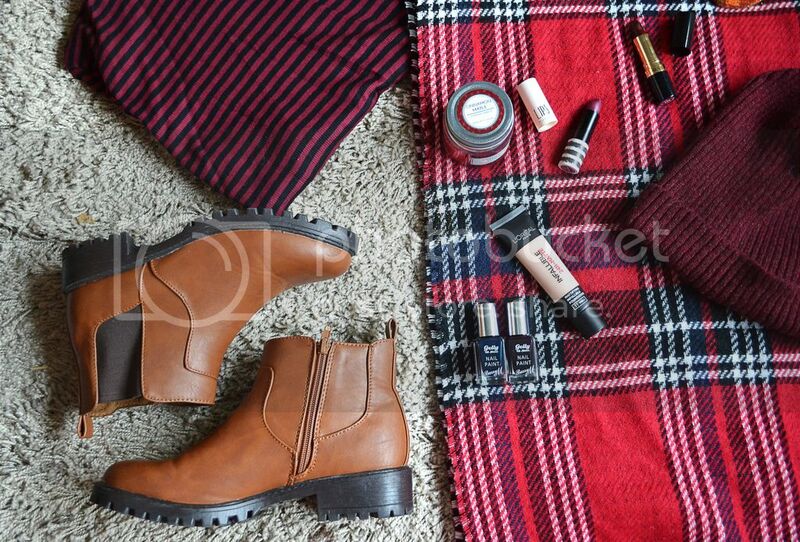 So, without further ado, here are my Autumn essentials! First up is dark nail varnish. I'm that girl who wears pretty pastels throughout Spring and Summer, but as soon as the first sign of Autumn appears, all the dark colours are out and on me instantly... I don't think I could have worded that any weirder. The Barry M Gelly nail varnishes are honestly just something else, best nail varnishes hands down, they should win all the awards. I couldn't resist picking up two of their newly released shades, 'Black Grape' and 'Black Cherry', the names alone intrigued me. Another beauty essential of mine throughout Autumn is a matte foundation. I'd heard lots of talk about the L'Oreal Infallible Matte and I have to say it doesn't disappoint, so long as I'm having a good skin day. The first time I tried it? Awful. The second time I tried it after a proper exfoliate and cleanse? Amazing. It's long lasting, combats my terribly oily skin still looks natural! Perfect for those chilly evenings. You can never have enough pairs of boots, I swear. Each year after buying more I tell myself, "I'm definitely not going to buy anymore", do I stick to it? Absolutely not. In the past, I've felt a bit iffy about brown boots, I'm not sure why as I'm practically living in these little Primark beauties. You can't really go wrong for £13, YES, £13! Next up is also another impulsive Primark purchase, a cinnamon and maple scented candle to be exact which my best bud actually bought for me, what a cutie! It smells heavenly! I'm not one for describing scents, or anything for that matter, so all I will say is that if you like sweet, Christmassy scents, definitely give it a sniff next time you're wandering through the home section. I decided to go ahead and feature my two favourite lipsticks, 'Inhibition' and 'Black Cherry', in this post because why the heck not? Pop over to The Autumn Lip Edit to hear my thoughts on them. You won't ever go wrong with a berry or plum lip at this time of year. How amazing is my scarf?! Tartan and dogtooth print, the two perfect Autumn prints, am I right? It's so huge, I have used it as a shawl and a blanket on many occasions. As well as being quite the statement piece, it's incredibly cosy. Primark always do such wonderful knitwear and this scarf has certainly proven that. Carrying on the knitwear theme, let's admire my adorable burgundy beanie from ZARA. I'm pretty sure I have a funny shaped head as I struggle year in, year out to find a beanie that actually sits on my head properly and suits me. This year, I found the one. Who needs men when you have the cutest Autumn accessories? Roll necks have been around for many years, but have only recently come back on trend in the last couple and I am so grateful for that. A roll neck is the ultimate snuggly item of clothing and you can pair them with anything. The one featured in this post is from Dorothy Perkins, who might I add have some lovely pieces in right now. Last but not least it has to be a Lush product. Anyone who knows me well enough knows my obsession love for Lush which seems to be something that is emphasised around this time of year... Oh I wonder why? The Halloween and Christmas range of course! The 'Sparkly Pumpkin' bubble bar is something I have never tried before, shocking, I know. But just look at that lil guy, so cute and pumpkin like, I don't want to use it! Plus, the weather totally justifies a splurge in Lush. Autumn means cold, cold means (Lush) baths, duh! Just be careful not to get glitter everywhere. 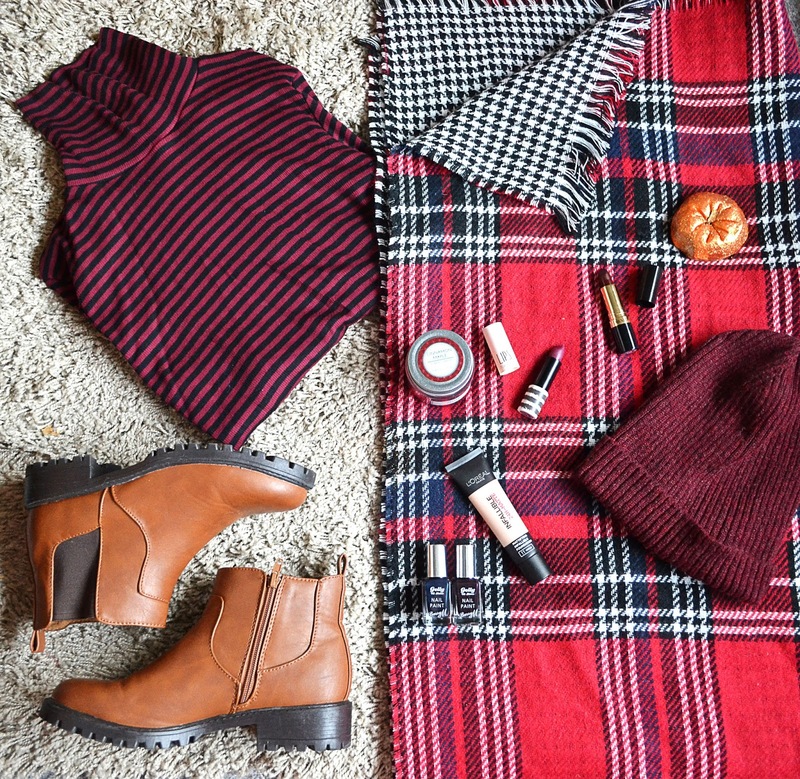 What are your essentials for the colder months? I'd love to know! I'm glad that I'm not the only one obsessed with boots! And that scarf is amazing! I'm really curious to try a roll neck, I don't own one. I think I will give it a try! Seems to be so snuggly! My must have for fall hai to be my blue tartan scarf! Lovely post! Have a nice Sunday! I love tartan, such a great pattern for Autumn/Winter! Those boots are beautiful - I think I need to take a trip to Primark soon! My go-to autumn makeup is a gold eye and a berry lip, but I love Beguilled from Topshop and Divine Wine from Maybelline for that. And my go to clothes? A roll neck (I'm in love with one I got from Topshop last year) and my Paul Smith scarf. It's so chunky and warm! I really need to try that foundation though, it's been on my list since the summer! Your posts are seriously on point at the minute. I love them! I loved reading your comment and finding out your essentials at the moment! I hadn't heard of Beguilled until now but it looks lovely. I love your post so much girl ! I literally cannot believe your boots were £13 (runs to Primark).. I must go on the hunt for them (along now with the candle and scarf ;D).. I really love your posts so much .. I think it is because I a huge lover to Autumn too! It's a great foundation, I can't believe it's taken me so long to try it! Great post. Bet the maple candle smells amazing! Love the autumnal shades and still yet to try the little pumpkin! Oh it does smell fab! i really need to get myself a blanket scarf and i love the color of that beanie! Those boots are primark?! I'm totally going to pick up a pair this week! Gorgeous post lovely lady, your photography is great! They are indeed! They're so comfy. 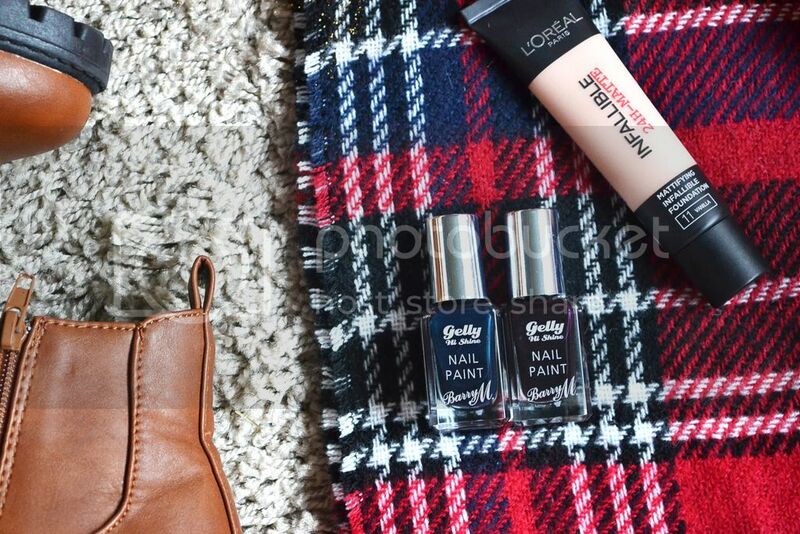 My go-to looks have been dark polishes, tartan scarves/wraps and tan boots/bags! Those boots are so gorgeous!! Dark red lipstick is a must for fall. Great post! I wear reds all year round but yes I agree! That pumpkin!! 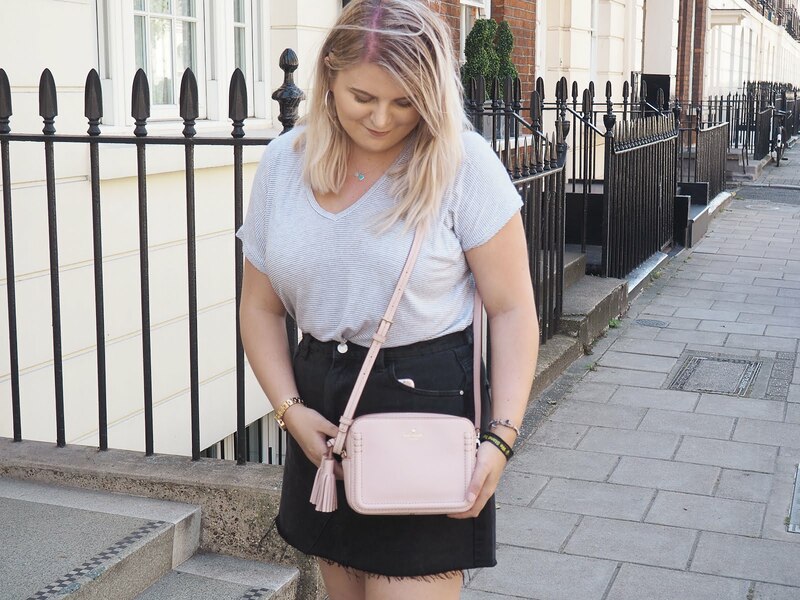 I'm going to a Lush blogger event tomorrow (yay!) so may pick one up, it's so cute! 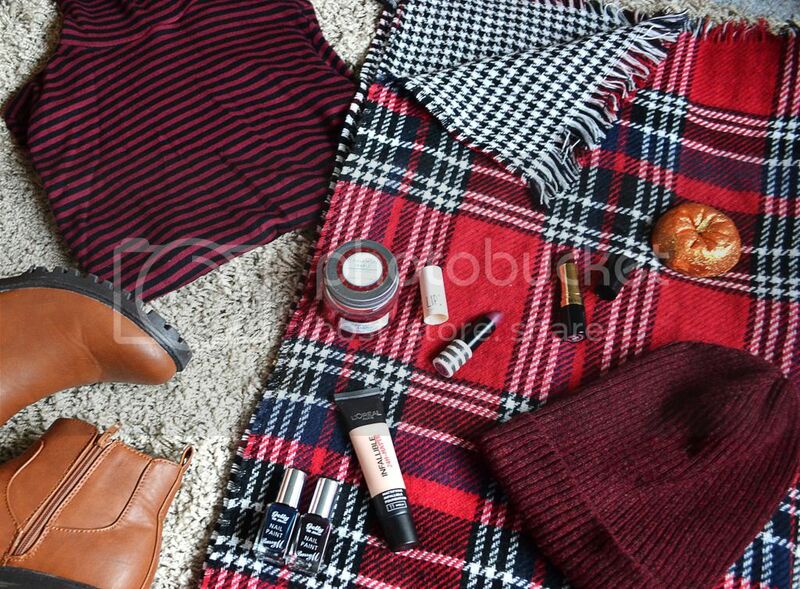 I have so many "Autumn essentials" too it's ridiculous haha! I´ve got the same scarf from Primark. It´s amazing! I practically live in it right now. Here´s a secret tip: Wear it when you go to the cinema. You´ll have your own blanket with you. As much as I usually like dark nails in autumn, this year I´m really loving white nails as well! give me those boooooties!! so cute!! haha great post Kat love that foundation as well, it is flawless! Those boots and that scarf are amazing! Definitely a big fan of them! I'm also obsessed with Barry M and wash prefer shiny nails to matter ones for me personally!